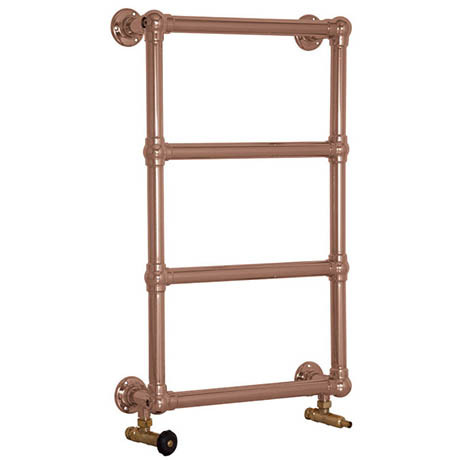 The Farnham is a classically elegant wall mounted towel rail that will be a centrepiece in any bathroom. Constructed from high grade steel, the Farnham offers increased heat output and can also be used as dual fuel. It's stunning copper plated finish comes un-lacquered so you can leave it to naturally tarnish over time or use a metal polish to keep it's polished look.